THE HUSBAND OF murdered British Labour MP Jo Cox has paid tribute to his wife, saying he believes she was killed because of her strong political views. 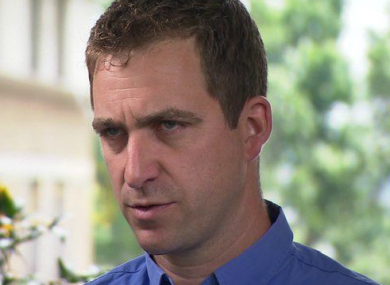 In an interview with the BBC, Brendan Cox said he wants to make sure something good comes out of the death of his wife, who would have turned 42 today. “She was a politician and she had very strong political views and I believe she was killed because of those views,” Mr Cox said. ”She would want to stand up for those in death as much as she did in life. I don’t want people ascribing views to her that she didn’t have, but I certainly want to continue to fight for the legacy and the politics and the views that she espoused. They were what she was. She died for them and we definitely want to make sure we continue to fight for them. Cox said his wife had been concerned about the “coarsening” tone of the debate around the Brexit referendum and “the whipping up fears and whipping up hatred”. “She was particularly worried about the direction…of politics at the moment, particularly around creating division and playing on people’s worst fears rather than their best instincts,” he said. Cox thanked the public for their “outpouring of love”, saying it has helped the couple’s two young children. He fought back tears as he remembered his wife as someone who had “incredible energy and joy” who would have no regrets about how she lived her life. On the morning she was killed, she was on the way to her surgery – “one of the things she loved” he said. …I’ll remember so much about her but most of all I will remember how she met the world with love. Both love for her children, love in our family and love for people she didn’t know. Email “Jo Cox was killed because of her political views, her husband says”. Feedback on “Jo Cox was killed because of her political views, her husband says”.